An Interactive Story with a Surprise Ending! Daisy Dog and Pete the Pig are the best of friends, going everywhere and doing everything together. Oftentimes, Daisy has to get Pete out of tricky situations. While at Pete’s house one rainy Saturday, Daisy is faced with a tough decision when Pete invites her to play with his special toys: matches and lighters. No way, Pete! yells the group of preschool children. Matches and lighters are tools, not toys. Imagine their voice being heard as they tell others what Daisy should do with dangerous matches and lighters! Our grandson’s only 4 1/2 years old, but What Should Daisy Do? has quickly become his go-to book at our house. He tugs that book out of the book tote and curls up on my lap. It’s worth every cent just for the cuddle factor. 🙂 He follows along in the book with his finger and even comments on how the characters might be feeling based on their facial expressions. And I appreciate that the author didn’t tell the kids what to do in the book, rather leaves it up to them to make the right choices. With her diverse background in fire service and education, Bostian crafted an entertaining and interactive story, sure to challenge students and satisfy teachers. Wish that all important lessons could be so much fun to learn! Disclaimer: I received this book free from the author for the purpose of sharing my review. The opinions expressed in this review are my own, and I received no monetary compensation. Maria Bostian started her fire service career in 1999 and currently serves as the Fire & Life Safety Educator/Public Information Officer for Kannapolis Fire Department. In addition to her fire service experience, she has an M.Ed. in Montessori Integrative Learning with over 10+ years of Montessori classroom experience. Her writing began out of necessity as she created lesson plans and instructional materials for preschool fire safety lessons. She recognized the need for good-quality teaching aids that provided correct messaging and additional resources for children, as well as, adults and caregivers. 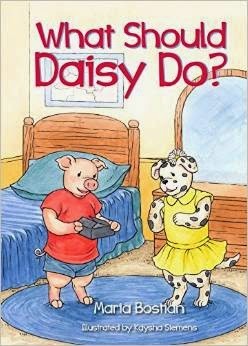 Her debut children’s picture book entitled What Should Daisy Do? began as a short story for a matches and lighters lesson. Bostian is a N.C. certified Inspector I, Instructor II, Fire & Life Safety Educator III, and is an adjunct instructor for the National Fire Academy. 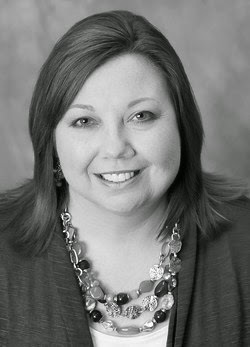 She has taught safety education classes and workshops in N.C., S.C., G.A., I.L., and C.O. When she isn’t working, Bostian can be found writing under a pecan tree, reading in her favorite lounge chair, or “riding around with the top down” searching for the next great story starter or inspirational character (cause you never know where your best ideas are going to be found). A vegetarian for many years now, Bostian’s favorite foods are mushrooms and cheese (which go together nicely on a great pizza). Bostian happily resided in Concord, N.C. (not too far away from some of the South’s best mountains and beaches) with her firefighter husband, her precious mother, and several pets.